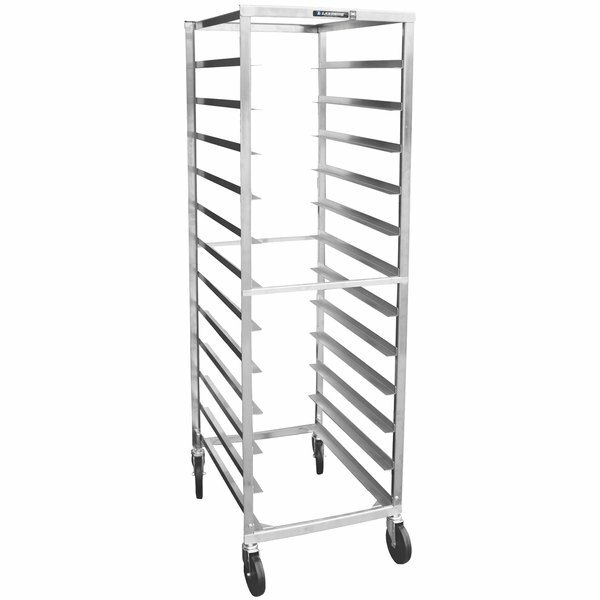 This Lakeside 162 end load stainless steel bun pan rack is an ideal choice for refrigerated or dry storage at your hotel or school. Made of durable, corrosion-resistant stainless steel, this bun pan rack ships fully assembled so that you can start to use it right away. The all-welded construction is easy to clean and sanitize so you can count on a clean, safe rack for your pans. Plus, the welded tie bars add integrity and extra stability to keep the rack steady while in motion. With 1/2" channel style ledges that are spaced 1 7/16" apart, this sheet pan rack can hold up to 37 full size pans or 74 half size pans. Channel ledges are preferable when you need extra capacity on your sheet pan rack. They are ideal for sliding full size pans in and out of the rack and provide strong support to your full or half size pans. 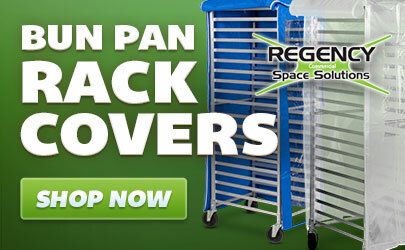 This bun pan rack includes four 5" recessed plate casters for excellent mobility and maneuverability.